There's a Vinyl resurgence going on, with vinyl record sales growing year-on-year. Many of the people buying records don't have record players. Many records are sold including a download code, granting the owner an (often one-time) opportunity to download a digital copy of the album they just bought. Some may be tempted to look down upon those buying vinyl records, especially those who don't have a means to play them. The record itself is, now more than ever, a physical totem rather than a media for the music. But is this really that different to how we've treated audio CDs this century? 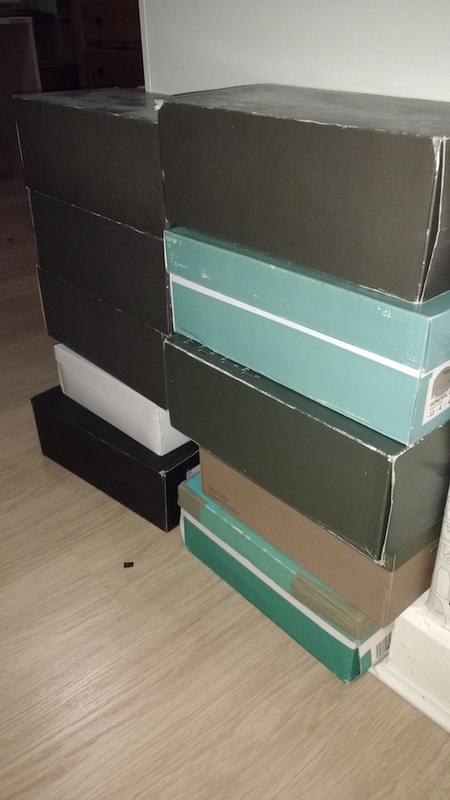 For at least 15 years, I've ripped every CD I've bought and then stored it in a shoebox. (I'm up to 10 shoeboxes). The ripped copy is the only thing I listen to. The CD is little more than a totem, albeit one which I have to use in a relatively inconvenient ritual in order to get something I can conveniently listen to. The process of ripping CDs has improved a lot in this time, but it's still a pain. CD-ROM drives are also becoming a lot more scarce. Ripping is not necessary reliable, either. The best tool to verify a rip is AccurateRip, a privately-owned database of track checksums. The private status is a problem for the community (Remember what happened to CDDB?) and is only useful if other people using an AccurateRip-supported ripper have already successfully ripped the CD. Then there's things like CD pre-emphasis. It turns out that the Red Book standard defines a rarely-used flag that means the CD (or individual tracks) have had pre-emphasis applied to the treble-end of the frequency spectrum. The CD player is supposed to apply de-emphasis on playback. This doesn't happen if you fetch the audio data digitally, so it becomes the CD rippers responsibility to handle this. CD rippers have only relatively recently grown support for it. Awareness has been pretty low, so low that nobody has a good idea about how many CDs actually have pre-emphasis set: it's thought to be very rare, but (as far as I know) MusicBrainz doesn't (yet) track it. So some proportion of my already-ripped CDs may have actually been ripped incorrectly, and I can't easily determine which ones without re-ripping them all. I know that at least my Quake computer game CD has it set, and I have suspicions about some other releases. Going forward, this could be avoided entirely if CDs were treated more like totems, as vinyl records are, than the media delivering the music itself, and if record labels routinely included download cards with audio CDs. For just about anyone, no matter how the music was obtained, media-less digital is the canonical form for engaging with it. Attention should also be paid to make sure that digital releases are of a high quality: but that's a topic for another blog post. I fully agree… except, download links expire and may not be accessible. A permission for others to mirror the full quality originals (and their signatures, to check validity) and share them with CD owners once the original company goes defunct would rock. in windows, the big thing is EAC (Exact Audio Copy), which can apparently run under Wine. in linux, it's obviously a little more fuzzy, but it seems that the bigger contender to EAC in the free world is Morituri, which is available in jessie. ripping fanatics are testing this patch, which seems to complete the compatibility with EAC for actual rips. - besides that, it seems the software is a little inactive these days, but could provide you with a very good ripper in linux. the forks of JoeLametta and RecursiveForest look particularly interesting. i have also used rubyripper in the past, but that is only a RFP in Debian (so far?). I'm familiar with morituri, I wrote about it back in february (cd ripping). However I'm not sure how well it handles pre-emphasis. I tried to compare it by ripping the Quake CD but was prevented by a different bug (possibly related to ripping any mixed-mode CD). I've used morituri a fair bit and I've hoped to contribute to it but I find it a bit awkward. I'm not sure I see the point of Rubyripper. It doesn't support AccurateRip (afaics) instead ripping the CD over and over and making comparisons between rips. So it can hope to catch an inconsistent bad rip, but not a consistently bad one, and do it all slowly. For that matter, despite supporting AccurateRip, morituri does something similar. That seems a bit quixotic to me.